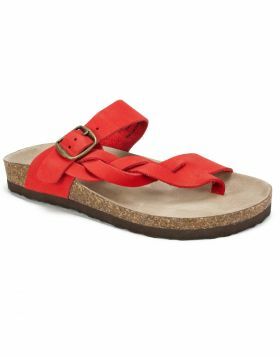 A gladiator inspired leather braid reaches across the foot in the chic styling of the Harvey molded footbed sandal from the Heritage collection by White Mountain shoes. 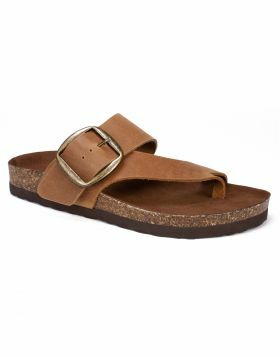 This updated version of the popular Crawford thong sandal features a noticeably larger adjustable brass buckle detail. 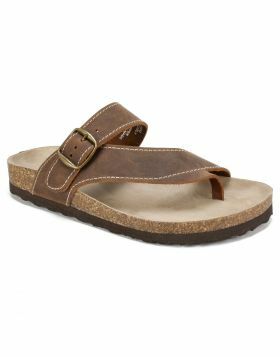 A gladiator inspired leather braid reaches across the foot in the chic styling of the Harvey molded footbed sandal from the Heritage collection by White Mountain shoes. 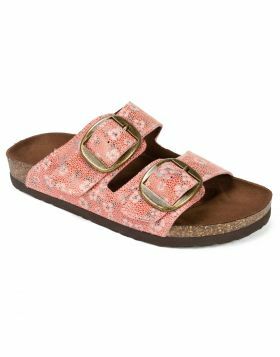 This updated version of the popular Crawford thong sandal features a noticeably larger adjustable brass buckle detail. Heel height: 1 inch.